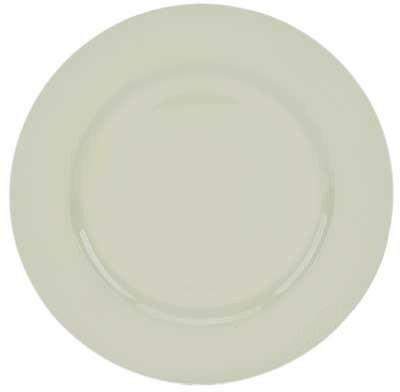 Home > Products > Ya Ya Creations White Beaded Acrylic Round Charger Plate 13"
Give your dinner setting an upscale makeover by complementing your dinnerware with the Ya Ya Creations White Beaded Acrylic Round Charger Plate 13". Featuring an intricate beaded detailing along its rim, this charger plate is perfect for intimate restaurants and formal occasions. Thanks to its pristine white finish, this charger easily complements any table decor. As highly durable as it is beautiful, this charger plate is made from premium quality acrylic that withstands day to day use. This charger plate is large enough for layering with standard size plates while ensuring maximum protection from spills and stains.